What if you could track the shipment of a particular grocery item all the way back to the original producer, and do it in a matter of seconds? If you were dealing with potential food contamination issues — like Rose Acres recently experienced with their 207 million egg recall — and needed to find out whether a particular food shipment was part of a recall, that could take a few days. Normally you would have to wait for the supplier to contact you with the necessary information. Meanwhile, you’ve pulled all possibly-contaminated items off the shelf while you wait for the correct information to arrive. With blockchain technology, you could scan the barcodes of a specific item — a carton of eggs, a case of strawberries, a bag of spinach — and be immediately alerted whether it needed to be pulled or if it was safe to sell and consume. Blockchain is essentially blocks of data assembled into a long chain. It’s a spreadsheet that’s encrypted, shared, and synchronized among hundreds, if not thousands, of computers. When a new transaction (a block) is made, it gets added to the spreadsheet (the chain). The block becomes a permanent part of the chain, and it can’t be changed or removed. More importantly, because this blockchain is not centrally stored, there’s no single point of failure or weakness. It’s not controlled by one centralized entity, so it can’t be hacked or compromised. And because the chain is shared on a network of computers, it’s nearly impossible to hack and change a single record, because the change would immediately be recognized by all the other computers. The change would be flagged as suspicious. Not just flagged as suspicious, it wouldn’t be added to the block. But the data is still secure because only the people involved in a particular transaction get a decryption key to see the transaction details. Let’s go back to our recall example: in this particular case, we’ll have a chain of custody and transfer, from the moment the product is packaged and scanned into the system. It gets loaded onto a truck, shipped to a packaging center, shipped to a distribution center, repackaged and shipped to a grocer’s warehouse, and finally shipped out to a particular grocery store. Each transaction along the way has been added to the blockchain, but it’s only accessible to the original food manufacturer, the individual grocery store, the grocer’s central office, and any service providers involved in shipping, cleaning, etc. So, when the manager scans that particular case of eggs, the blockchain is unlocked, and she can see that yes, these eggs (or strawberries or spinach) are part of the national recall. And it can reduce foodborne contaminations that might happen in the shipping and handling of a product, such as whether a refrigerator truck malfunctioned in transit and a truckload of chicken or raw shrimp was allowed to get warm enough to begin bacterial growth. The anomaly might show up in the grocery store manager’s electronic report, and with a few clicks, he can see that there were temperature anomalies in the shipping process. Blockchain can even have an impact on farm-to-table eating, which could improve margins of grocery stores that sell organic foods. A recent article in Forbes suggested that even consumers can use a smartphone app to scan an item’s QR code and read a report about where their food was grown, what pesticides were used, and how it compares to other food on the shelves. We already know that health-conscious consumers will pay more for organic foods because they trust that the products have met certain standards and followed certain practices, even though there are no federal regulations that stipulate what “organic” actually means. How much more would a consumer pay for food that they knew was actually organic by looking at the reports showing the production methods, products used in its growing and manufacturing, and its chain of custody? This becomes a value-added service that consumers may pay more for or can be a way for organic and higher-priced food brands to compete against the lower-priced competitors without lowering their prices. 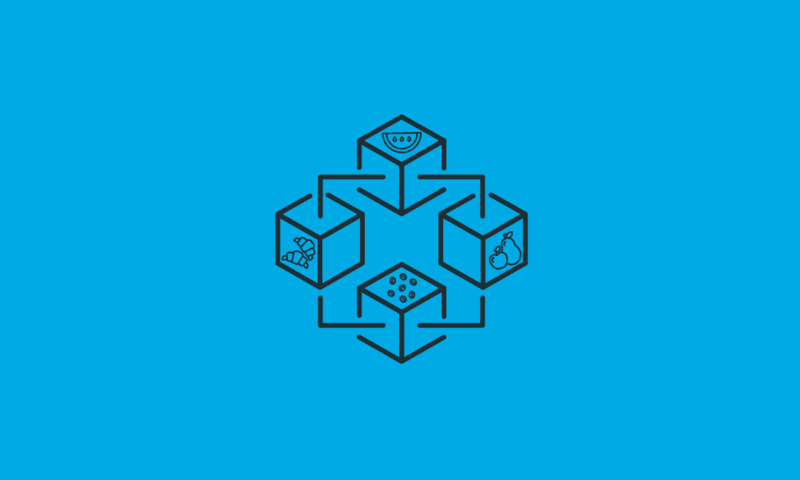 We’ll be exploring blockchain more in the future, especially its impact on retail, grocery and the supply chains that fuel them. Subscribe to the SPS blog to get these updates delivered directly to your email inbox weekly. 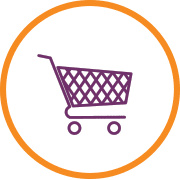 SPS Commerce can help you learn more about how your grocery chain can benefit retail technology such as EDI solutions. Just visit the SPS website for more information, or ask to speak to one of our grocery industry experts. As an expert in retail fulfillment, Tony offers a unique viewpoint on using the latest retail technologies, including the SPS Commerce Retail Network, RFID and more to drive innovation and growth. At SPS, he is responsible for using graph-based architecture to drive meaningful insights and expand the value of the SPS Commerce Platform to customers and partners.